Families are invited for an afternoon of fun at the University of Dallas' Family Day this Sunday, September 30, from 11-4 p.m., with proceeds of the day to benefit the CPLC! Festivities will include snacks, bounce houses, bean bag toss, and a variety of games for all ages at the university, located at 1845 E. Northgate Dr. Irving, TX 75062. The CPLC is honored to be one of two charities selected by the UD Class of 2014 to benefit from Charity Week, a student-sponsored week of activities for the campus and community. Sunday’s event kicks off the annual tradition, which also includes a male auction, shave-off, semi-formal dance, silent auction, air band contest and more. 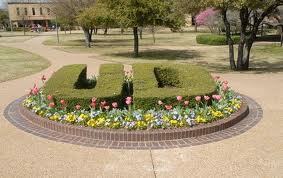 The CPLC extends a big thank you to UD for helping us defend life in Dallas!! For more information and to participate in Charity Week, please visit here. 40 Days for Life is a focused pro-life effort that consists of 40 days of prayer and fasting, peaceful vigil, and community outreach. Dallas, home to the largest 40 Days for Life vigil in the world, is once again joining with hundreds of cities nationwide in this powerful campaign! The 24/7 prayer vigil in Dallas is outside the Southwestern late-term abortion center. For more info and to sign up to pray, visit prolifedallas.org/40days. And be sure to join us for Youth Day and Midway Picnic on October 13 at Harry Moss Park. More details here. Are you registered vote? If not, click here to register by Oct. 9. U.S. Bishops encourge us to be heard in the first Presidential debate on Oct. 3 at 8 p.m.! and ask moderator Jim Lehrer to include a question on relgious liberty. Hike for Life is an annual pro-life walk in various Texas locations to raise money for local pregnancy care centers and awareness of the dignity of all human life. Hikes on September 29 will be at John Paul II High School, Plano; Breckenridge Park, Richardson, and Hike & Bike Trail, Waxahachie. Click here for October 6 and 13 locations. The 25th National Life Chain is a peaceful, prayerful, public witness of the Christian community standing in honor and memory of the 55 million babies whose lives have been lost to abortion. Participants hold professionally-printed signs that are provided at each site and pray for human life to be held sacred in our nation. More than 1500 cities across the U.S. and Canada will host this family-friendly prayer event – many with multiple locations so that more than 1800 locations will have a prayer presence. Lawn chairs, strollers, umbrellas, and water are welcome. Visit LifeChain.net for more info. Sponsored by Life Chain. Special thanks to our first Hole and Tee Box Sponsors: Dowd Commercial Advisors, Bob Baillargeon, Joe-Giangiulio CPA, Networth Financial Group, The Catholic Foundation, Minuteman Press, Rodenbaugh's Flooring America and Appliances, Guadalupe Radio Network, Little Elm Eye Care, Talreja & Company, Law Offices of W. Russell Toates, Mark A. Venincasa DDS, Advanced Tech Enterprises, John Kraft, State Farm, & Paul Stanzel Realtors. Click here to become a sponsor! To honor the fiftieth anniversary of the Second Vatican Council and the twentieth anniversary of the Catechism of the Catholic Church, Pope Benedict XVI has announced a Year of Faith, starting October 11 and ending November 24, 2013. The goal is to strengthen the faith of Catholics and draw the world to faith by their example. Bishop David Ricken of Green Bay, Wisconsin, chairman of the Committee on Evangelization and Catechesis of the U.S. Conference of Catholic Bishops, offers “10 Ways Catholics Can Live the Year of Faith.” Rooted in guidelines from the Vatican’s Congregation for the Doctrine of the Faith, some of these suggestions are already requirements for Catholics; others can be embraced by Catholics at all times and especially during the Year of Faith . . . . Continue reading. More information on The Year of Faith available here. 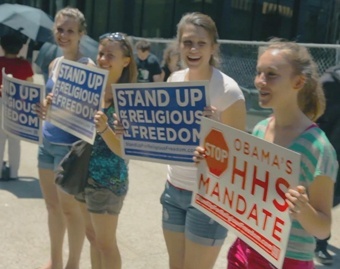 Thousands of women across the country are leading grassroots efforts to make their voices heard in opposition to the federal contraception and sterilization mandate. The Women Speak for Themselves movement is driven by “things that women are deciding to do on their own,” said Meg McDonnell, who has been assisting the group from early in its existence. McDonnell told CNA on Sept. 20 that the movement has received “hundreds of e-mails” about women’s efforts to defend religious freedom, including prayer campaigns, local rallies, blog posts, discussions with elected representatives, voter registration drives, billboards and letters to the editor. Continue reading. As you know, the past few months have been very busy for And Then There Were None. Thirty workers have now come to us seeking help…and all thirty of those workers are now out of the abortion industry and on their way to emotional and spiritual healing. These workers have held many different positions within the industry: abortion counselor, lab technician, health educator, receptionist, billing expert, health center director, and many others. But we have never had contact with an abortionist…until now. Continue reading.